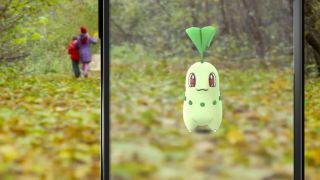 The biggest Pokemon Go update yet is live, and while we learned some of the details from Niantic itself, the juiciest bits always come from dataminers. Luckily, the intrepid folks over at The Silph Road quickly tore into the game's new code to determine some of the changes. I put that together with Niantic's announcement to bring you a quick list of all the new stuff. More than 80 new monsters from Pokemon Gold and Silver are now roaming the world. Those games added 100 Pokemon in total back in the day, so Niantic will likely roll the rest out over time as it did for stragglers from the Red and Blue roster. Razz berries are so last year! Feed your Poke-quarry a nanab berry to slow them down (I guess they're super filling) or some pinap berries to get double the candy bonus for catching them. Tasty! It looks like you'll need to pick up certain items from Pokestops to evolve the new Generation 2 Pokemon. Here are the items that Silph Road has spotted so far, and what they were used for in Gold and Silver. Pokemon should feel a little livelier when you're trying to catch them. Silph Road spotted three "movement states": one for jumping, and two special states for electric and psychic types. The update also references "movement nodes" for flying and hovering. Just a guess, but that probably lets them dart around the screen without immediately returning to the center. Pokemon aren't the only ones learning some fancy new moves. Two new Pokeball throwing properties - "PERFECTLAUNCHSPEED" and "LAUNCHANGLE" - were added to the game in the update. Take a couple practice throws and see if you can feel the difference! The soundtrack will now reflect whether you're out for a moonlit Poke-prowl or hunting pocket monsters in the sunshine. Both the overworld and encounter music will change from day to night and vice versa. It's a subtle change, but also a nice way to conjure different moods for the same activities. Part of the fun of Gold and Scissor was finding new evolutions for familiar Pokemon, and that'll be the same in this update. We don't have a comprehensive list of where to find everything and how much candy it will take, but this article takes some pretty good educated guesses about the lot of them.